Since moving to Saratoga Springs in 1977, Anne Diggory has been inspired by the natural world of the Adirondacks as well as mountain landscapes encountered in her travels. She uses her artistic perspective to identify the Adirondack painting locations of artists working in past centuries and has helped several museums correct their catalogues and rename their paintings. 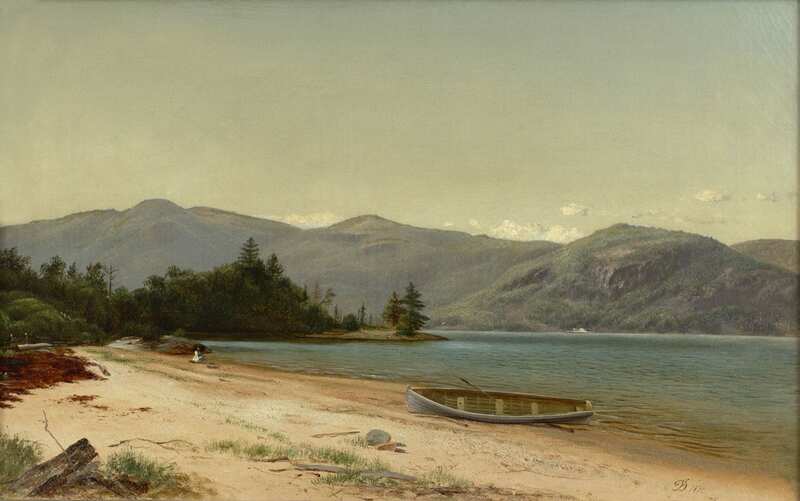 Her research concerning the painting location of John Frederick Kensett’s iconic “Lake George, 1869,” was recently published in the Metropolitan Museum Journal. Additional information and images are available at diggory.com. The 19th century paintings and photographs of Keene Valley inspired artists to seek out the depicted images of Nature and experience it for themselves. A number of years ago I fell under the same spell when I looked at the artistic interpretations of the High Peaks as seen from the Ausable Lakes. Seneca Ray Stoddard (1844-1917) made many photographs of those lakes, including at least two of the view of Gothics and Sawteeth, with and without people. In the version with the boats, the people float within the reflections of the mountains. Stoddard’s guidebook, The Adirondacks: Illustrated, published in 1873 and was reprinted for many years, attracting more visitors to the Adirondacks. » Continue Reading. 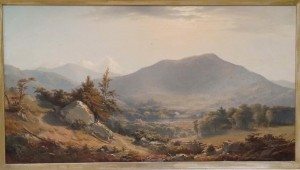 My search for the motif for any 19th century painting of the Adirondacks opens questions – about the artist, the location and the culture at that time. Sometimes I can answer the questions. Consider, for example, David Johnson’s 1870 painting, Study of Nature, Dresden, Lake George. The painting can be seen in Albany in the collection of the Albany Institute of History and Art. Johnson painted a strikingly similar painting, View of Dresden, Lake George, 1874, which can be seen in the catalogue for the 2005 exhibition at The Hyde Collection in Glens Falls, NY, Painting Lake George, 1774-1900. » Continue Reading. With a clear forecast and a plan to paddle the full circuit of Lake Placid, I decided to enhance the outing by looking for the painting viewpoints of William Trost Richards (1833-1905), who had painted there for a week in 1904. 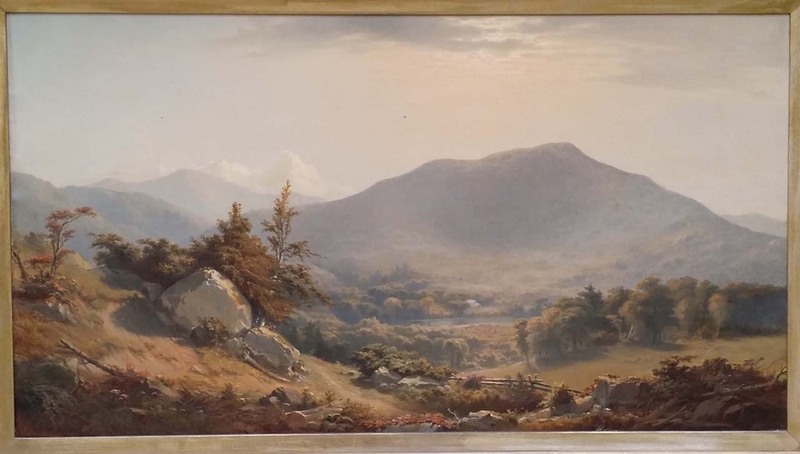 Richards’ long career included many summers in the Elizabethtown area, and at the age of 71 he went on a Lake Placid painting trip with his daughter, the artist Anna Richards Brewster. » Continue Reading. After our first trip in June 2001 to try to locate the painting location of Alexander Helwig Wyant’s “Flume of the Opalescent,” Catherine Minnery and I returned in July with more success. We had the help of Steve Langdon, who at the time was the caretaker of the Interior Outpost at nearby Lake Colden, and who had been to the flume before. We were also better prepared with rope to aid the descent into the flume and with fuller sets of art supplies for an entire day of drawing and painting. » Continue Reading. In my ongoing search for painting locations used by nineteenth-century artists in the Adirondacks, I have had some notable successes that have taught me about artistic choices made in the past as well as in my own work. In one adventure, the title of the painting listed a geographic feature and I assumed that the location would be fairly easy to pinpoint. Instead I got my first lesson in the difference between what I could see on a large scale hiking map and what was there on the ground in the finer details. And so the “simple” search took two separate trips. » Continue Reading. I have been making art inspired by the Adirondacks since the early 1980s, shortly after moving to just outside the park in Saratoga Springs. Initially my subject matter arose out of family camping and hiking trips, an invitation from a friend, or just wandering by car or canoe as I looked for a vista or close-up scene with an interesting set of juxtapositions and a compelling light. 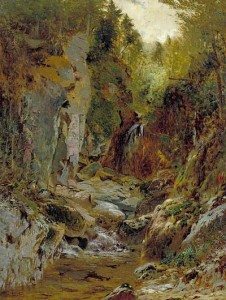 More recently I have taken another approach on some painting trips as I look for the locations used by nineteenth century artists who depicted the Adirondacks. When I look at the actual motifs that inspired another generation of artists I have a better understanding of the choices they made to enhance or alter details. And when I paint at their locations I understand how my choices differ from theirs. 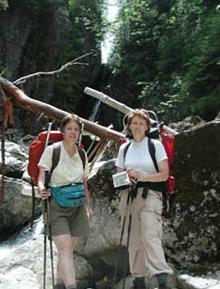 The explorations are a stimulus to my own creativity in new settings. » Continue Reading.